Are you looking to add a 'punch' of color to your landscapes or annual combination planter? Let me introduce to you Superbells® Pomegranate Punch. 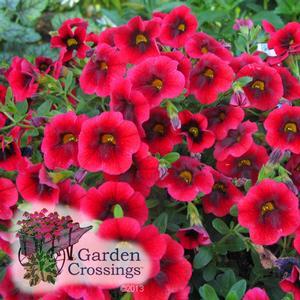 In general, a red petunia or calibrachoa really doesn't do much for me, that was until I was able to trial Superbells® Pomegranate Punch.